← Have you tried this ? My new favorite summer cocktail! A few weeks ago on my very first night in Prague, our friends took us to the Four Seasons hotel because we had to try the ice-cream with espresso poured all over it. Ok. No arm pulling required here. As any smart person would do, I ordered the ice-cream with espresso and a cappuccino knowing full well that with that much caffeine at 11 PM I was not going to sleep that night. But some of the best experiences in life stem from “bad” decisions, am I right? This was no exception. My very sophisticated friend ordered an Aperol Spritz. The name piqued my interest but I was settled on my coffee selection, or so I thought. Once the amber-colored siren arrive at the table, I knew I was in trouble. I had to try that too. So there I sat like the very picture of gluttony, with all three choices in front of me. 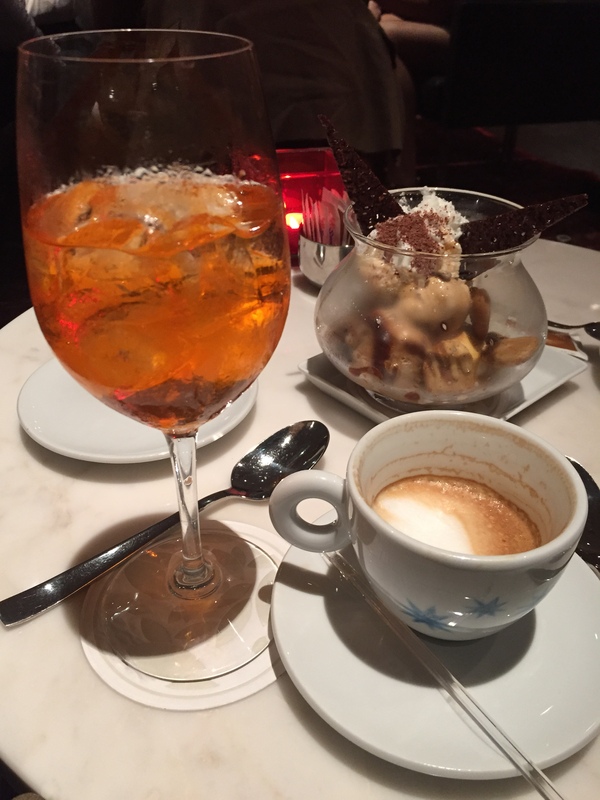 The coffee was delicious, the ice-cream divine, but the real star was this Aperol Spritz business. For the rest of my stay in Prague it became my go to cocktail, and at the airport we bought a bottle of this Italian creation. In a large wine glass, add ice, 3 parts prosecco (or your favorite sparkling wine), 2 parts Aperol Spritz and 1 part club soda. Garnish with a slice of orange. Here is the link to buy it at the SAQ. Your IG feed of your fab Eurovision tour was insane! I feel like on the 4th we can make the A S a little dirtier. Can’t wait!